There are very few women in ancient history who made their mark on the world with the full moral support of their fathers. Sargon the Great (of Akkad) was considered great for many reasons, but an unofficial reason I’m going to talk about in this blog post (which echoes Fathers Day, albeit belatedly) is that he might have even been a great dad to his daughter, Enheduanna. Dubbed by scholars “Shakespeare of Sumerian Literature,” (just in time for Shakespeare outdoor events!) 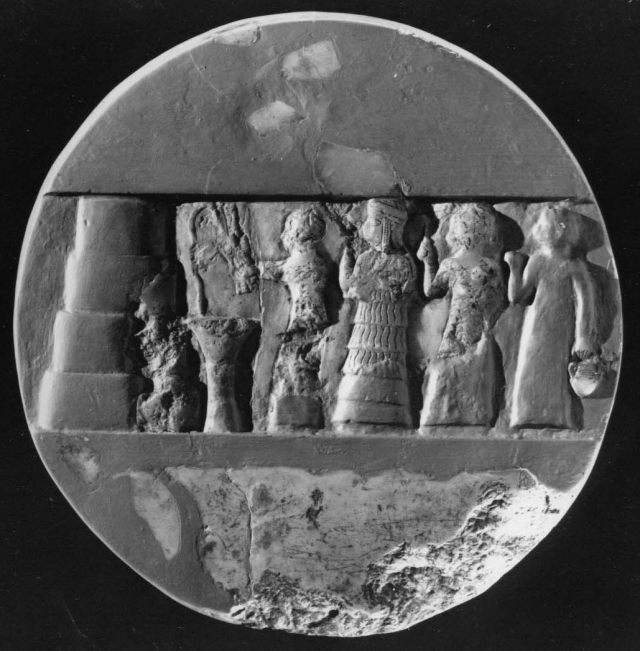 Enheduanna began her journey as an Akkadian princess and wound up being the world’s first named author. Some even consider her the world’s first feminist. Although the 100+ clay tablets that were found bearing Enheduanna’s writings date back to the Old Babylonian period, she lived about 500 years prior to that, around 2285-2250 BC. Though some scholars question whether Enheduanna is really Sargon the Great’s biological daughter, she must’ve possessed something extra special, charisma, because Sargon ordained her as high priestess of the most important temple in Sumer at Ur. It was a political strategy to help him stabilize the empire he’d just acquired by way of a high priestess of royal blood meld Sumerian gods with those of Akkad. It is through her ordainment that Enheduanna got her name. It translates into “High Priestess of An,” An being the sky god, or “En-Priestess,” wife of the moon god, Nannar. She was the first known holder of the title of En-Priestess, a role of great political importance held by royal daughters, a tradition which began with Enheduanna. Other translations of her name I came across all boil down to “High Priestess of the Ornament of the Sky/Heaven,” but her birth name is not known. But unlike the elusive identity of the man we call Shakespeare, we know how and why Enheduanna was literate, and enough so to write all she wrote. You see, it was not rare for high priestesses and royal women in Ancient Mesopotamia to be literate. (Wikipedia) What separates Enheduanna from other women of her status, however, is that she was more than just a scribe. She was an author whose status and father’s support allowed her to write in first person and include herself in her hymns and poems. Copies of her work were made and kept in Nippur, Ur and possibly Lagash. Having been kept alongside royal inscriptions drives home the idea that Enheduanna’s writings were highly valued, even centuries after her death. Being that religious appointments in the ancient Near East were pretty much political appointments, Enheduanna’s political influence was so strong, that after her father’s death, and during her brother Rimush’s reign, a coup was attempted against her by a Sumerian rebel, Lugal-ane. 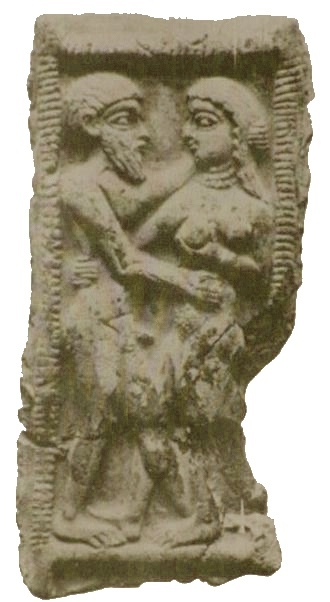 This forced her into exile, and her most famous work, Nin-me-sara or “The Exaltation of Inanna,” was a hymn in which she detailed her expulsion and eventual reinstatement as High Priestess during that time. It is especially through this hymn that we have a record of some details of her life. Enheduanna’s tomb may never be found, and scholars might continue to debate whether she really is the one who wrote all those hymns and poems like they do Shakespeare, but her legacy is sealed by her writings. They echo her personal feelings about the world she lived in. “Me who once sat triumphant, he has driven out of the sanctuary. He stripped me of the crown appropriate for the high priesthood. He gave me dagger and sword—‘it becomes you,’ he said to me. Now I have been cast out to the place of lepers. Day comes and the brightness is hidden around me. Shadows cover the light, drape it in sandstorms. My beautiful mouth knows only confusion. As people across the northern hemisphere get ready to mark the beginning of summer with the Summer Solstice, there is a feeling of jubilation and excitement for days spent at the beach, eating ice cream and sunbathing. To Mesopotamians, however, the official start of summer was not a time for jubilation or excitement. It was a time to mourn the beginning of the decline in daylight hours, and the beginning of parching heat. 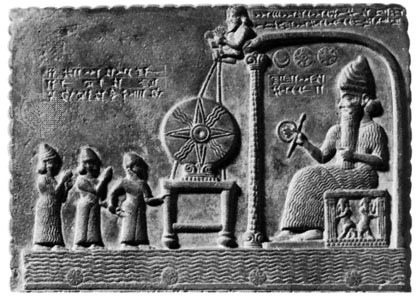 Mesopotamians were the first to begin recording their observations of the skies, and they were such observant astronomers that while they had Shamash, the all-encompassing god of the sun, they were aware of the sun’s different behaviors. That knowledge drove them to assign a different deity to each of the sun’s phases throughout the year. For the Summer Solstice phase, when the sun reached its highest point in the sky, they assigned Nergal, a deity of the netherworld. Aside from being a solar god representing the evil aspect of Shamash, Nergal was also portrayed as the god of war and pestilence, who brought fever and devastation in Mesopotamian hymns and myths. Through Nergal’s classification, it’s clear that Mesopotamians considered high summer to be a season of death, when the sun parched the earth and brought destruction in the form of drought and unbearable heat. Like with most celestial events in antiquity, Mesopotamians observed the Summer Solstice with a distinct ritual. For six days Babylonians would hold a funeral for the god of food and vegetation, Tammuz, by placing his statue on a bier, and having a walking procession complete with mourners in tow. Tammuz’s wife, Ishtar, the goddess of fertility, love and war, would mourn his death through a dirge. The lamentation hymn was recited each year, accompanied by sobbing and wailing by women mourners. Now you know some cool stuff about the Summer Solstice, albeit depressing. But don’t let Mesopotamian pessimism get you down about the official start of summer! Happy Summer Solstice, Northern Hemisphere! He’s the other guitarist with The Mesopotamians band, wearing a pointy helmet. He can’t seem to be able to keep himself together- he plays his guitar and his arm falls off, he joins Hammurabi at the microphone and his teeth start flying out of his mouth, his jaw falls off, and at one point he ends up a heap on the floor. Most people know Gilgamesh through the Epic of Gilgamesh, which holds great importance to humanity today as the world’s oldest piece of literature. It appears to have been just as important to humanity in ancient times, too. 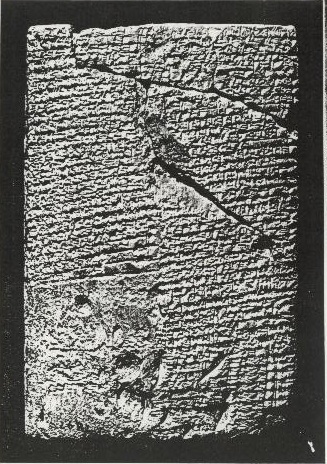 For one thing it was written down centuries after the death of the enigma that is its hero, and was circulated in the ancient world so much, that aside from various sites across Mesopotamia (most notably in the Library of Ashurbanipal), fragments of it were also found written in non-Mesopotamian languages, in non-Mesopotamian regions. This means that Gilgamesh was a figure known across the Ancient Near East for centuries, which leads us to asking: why was Gilgamesh so important? Before we delve into the Epic, it’s important to know that Gilgamesh’s name appears in material other than the Epic, like the Sumerian King List, which identifies him as the fifth king of Uruk. According to the List, his reign took place between 2500 and 2800 BC (a date I have been unable to pinpoint exactly because of differing dates from different sources), and lasted for 126 years. Bilgames, as he is known in the earliest Sumerian texts, also appears on tablets that list deities, like this one. Gilgamesh also appears in Mesopotamian mythology as a demigod, and a judge of the dead. Although Gilgamesh’s parents had cult followings and temples built for their worship, nothing other than a god’s epitaph in texts has been found to prove that Gilgamesh himself was an actively worshiped deity. The Epic’s Gilgamesh possesses incredible physical strength, thanks to his parentage and demigod status, with two-thirds god and one-third human DNA. He needs no sleep and can complete a six weeks’ journey in three days. He need only eat after covering 400 miles, and pitch a camp after 1,000. But he is also described as an arrogant ruler, and does what he wants to those he rules, including bedding all brides on their wedding night, even before their husbands do. The people of Uruk cry out to the heavens from such tyranny, and the gods respond by sending down Enkidu, a wild man who lives with the animals in the wilderness. He is Gilgamesh’s equal in strength and ability, he is sent down to balance Gilagamesh. After a series of fantastical and sexually explicit events involving one of the most enigmatic women represented in literature, Enkidu is tamed and brought to Uruk, where he and Gilgamesh face off and become the best of friends. Together, they take on challenges that defy vengeful gods and end with a tragic loss that sends Gilgamesh on a journey in search of immortality. Gilgamesh’s journey to the Great Deep in search of immortality brings him face to face with Utnapishtim, a figure whose description of the biblical Flood marks him as a non-biblical representation of Noah. In his article titled “The Flood of Noah and the Flood of Gilgamesh,” for the Institute for Creation Research website, the archaeologist Frank Lorey, M.A. 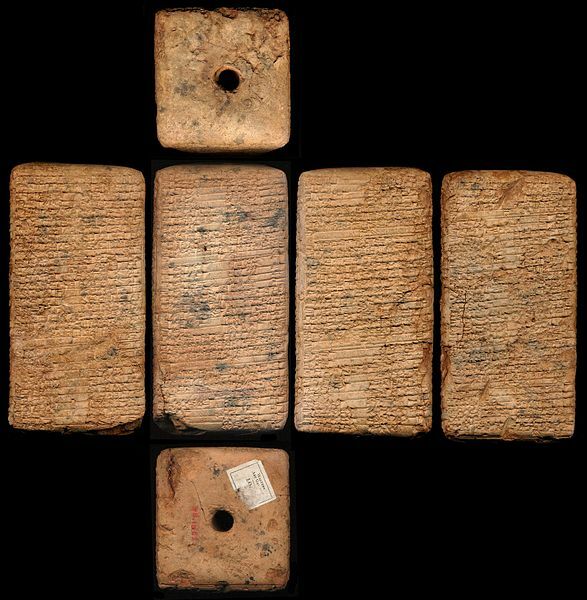 writes of Gilgamesh’s deeds, which are also listed in the Epic: “He was one who had great knowledge and wisdom, and preserved information of the days before the flood. Gilgamesh wrote on tablets of stone all that he had done, including building the city walls of Uruk and its temple for Eanna,” Lorey writes. It is safe to say that Gilgamesh represents a most human hero, despite his supernatural credentials. What could be more human than arrogance, or love, or fear of death? To this day, Gilgamesh’s story resonates with us, not with its fantastical and ancient details, but with its profound reflection on the human condition that seems to have changed little over the centuries. Gilgamesh’s surviving legacy, beyond the Epic or the walls he built around the city he ruled is his humanity.